CoolHandle started as a group of IT professionals in early 2001 to introduce a new standard in the fast changing environment of web hosting. With over 15 years of web hosting experience on various hosting platforms and operating systems, particularly Apache, Linux, Microsoft IIS, and Microsoft Windows Server, they bring the knowledge and the capability to handle any hosting needs. Here at Web Hosting Geeks, we like to think of ourselves as your all-in-one resource for anything web hosting. We consider ourselves one of the premier resources available to you on web hosting providers, web hosting technologies, or anything else with web hosting in the name. As such, we’ve been trying to expand our borders a bit, bringing you detailed reviews of some of the less commonly known web hosting providers. But, these aren’t just some off-the-wall and low-end offerings we’ve found out on the street! No, these are rock-solid options that deserve a second look. With that in mind, today we’ll be serving up hot one in-depth review of Coolhandle, one of the fresher faces to hit the market. They’ve been growing like mad, and during the time that they’ve been doing so, they’ve been ratcheting up quite a technology list, as well as an impressive list of clients. So all in all, if you’re looking for a solid, cheap, and small web hosting provider to handle all of your web hosting needs, stick around. Coolhandle is exactly that and more, which you’ll find listed and explained below, just beyond the break. We couldn’t have said it better! Right off the bat, we’re seeing a lot of green flags that come as tremendous boons for the company. Firstly, they offer a dedication to the customer and the customer’s satisfaction, which comes as a pleasant surprise every time. Furthermore, they do have more than a decade’s worth of experience, which though still new in web hosting terms, is more than enough to earn our trust. However, there’s one other way to see if a web hosting company really does deliver on what it claims: The awards! Over the years, Coolhandle have made quite a name for themselves. They’ve won a number of awards, including the ReviewsGuru.com 94% excellent award, and the Affordable Web Hosting award from Hosting.com. They’ve also garnered the Top 10 Budget Hosting and Top 10 Fastest Growing Hosting awards from HostReview. And to tie it all off, they’re a FindMyHost.com approved host. 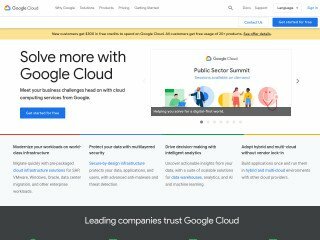 Seems like a lot of recognition to us, and all in all, we’re starting to get a feel for the excellence in service that this hosting provider offers. 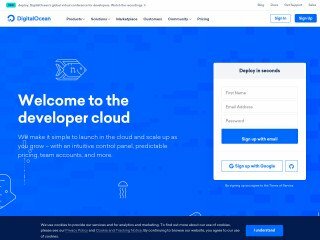 Feature Rich Services: Firstly, Coolhandle comes stock with all of the platforms and services that you could possibly want to host your website with. No matter what you require out of your server space, the company has a solution that will meet you where you are. Cost Effective Pricing: Their prices are also some of the best we have seen on the Net, and that’s saying something! We’ve seen a lot of budget prices over the years, but for the features you’ll be getting, there’s hardly a better bargain to be found anywhere. We’ll be talking more about the specific pricing arrangements that Coolhandle offers here in a minute, but it’s still a fair point to lob into the mix here. Green Hosting: We always like to use an host that’s gone green. Because web hosting is one of the largest producers of pollutants on the planet, we appreciate any company that’s willing to step up to the plate and deliver a cleaner hosting experience. As such, Coolhandle is sporting a 125% efficient power system sustained by renewable energy. This is a wonderful addition the already delicious services we’ve been seeing from the provider, and it also means the environment is that much cleaner. 30-Day Money Back Guarantee: And, of course, Coolhandle will also give you your money back in sum total if you’re unhappy with your services. What’s the time limit? 30 days, or a whole month! It’s not the longest grace period we’ve ever seen, but still, it’s on-par with what we would expect, which is ace with us. You will, however, not be getting your domain registration fees or setup fees back. This is less-than ideal, but hardly a deal breaker. Dedicated Service and Technology: One of the absolute coolest things about Coolhandle—at least in our opinion—is the way in which they handle your technology, your data, and your experience. You see, once your server space has been arranged, you’re immediately given a dedicated staff of experienced workers to handle any and all needs that you may have. These individuals have been very deeply trained and come with a wealth of information that you can make full use of during the course of your hosting period. And lastly, you can rest assured that these service professionals come certified by all the major boards: RHCEs, CCNAs, Sun Certification, etc. All in all, this means you have to worry less about the status of your site, and simply enjoy the hosting more. And that sounds like a deal to us! This is, of course, the bottom tier you can draw from: But don’t let that fool you! The package is still quite complete, coming with unlimited disk space, unlimited band width, and one free domain name. You’ll get 5 additional domains, as well as 5 parked domains. Not to mention a free setup expense. You’ll also receive a cPanel to moderate your data, 5 FTP accounts, SSH access, a custom error page, Fantastico for script installation, and support for all of the latest content management systems including WordPress. MySQL databases are limited to five at this level, though, and you’ll get no PostgreSQL databases to work with, either. You will, however, get an entire load of web analysis tools to help you better understand your traffic and personal pull. And, of course, you’ll also have full access to the excellent Coolhandle technical support, which is available 24/7. Oh, and that money back guarantee! So how much does all of this actually cost? Well, not much, actually! The starter package costs only $3.95 a month, which is a fair bit lower than almost any other web hosting provider we’ve looked at recently. And for that money, you’ll get a lot of really solid features, too. But what does the Coolhandle experience look like one notch up the ladder? Next up the rung we have the business hosting plan by Coolhandle. This one will cost you a scant $10.95 a month, and comes loaded with quite a few additions to the previous pricing tier. However, let’s cover the common ground first: You’ll still get the same unlimited disk space and bandwidth, as well as a lot of the same software support for popular platforms like Ruby on Rails and content management systems. Oh, and you won’t have to worry about customer support, either — It’s packaged right into the system, just as with the starter package! However, what you’ll get in return for a little extra dough is 100 allowed domains, 100 parked domains, and the option to add a dedicated IP address for $4.99. You’ll also get 95 more MySQL databases and quite a lot more FTP accounts. 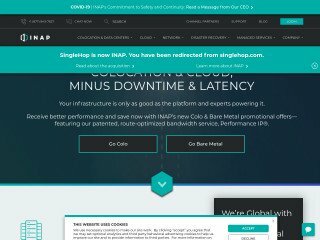 All in all, if you’re looking to run a business-based website, but don’t want to shell out the money for another hosting provider’s more expensive plan, it looks like the business tier with Coolhandle might just be the absolute best way to go. It’s got a lot of features for a very competitive price, which comes as music to our ears. However, we’ve got one more personal plan left to hit! This is the top tier that Coolhandle offers in the personal hosting network, and it’s also the most expensive. To purchase and use the plan, you’ll be paying $12.95 a month, which might seem expensive at first blush. And though it is certainly higher than a lot of the other hosts that we tend to recommend, that doesn’t mean it’s not a value. You see, for that money you’ll get the same unlimited features, but now extended to your domains and parked domains. You’ll also get a free dedicated IP address, which is an insane value for the price tag. Of course, you’ll also be left with unmetered MySQL databases and FTP accounts, allowing you to run a business of absolutely any size using the plan. You’ll even get an unlimited number of email boxes (improved from 1000 in the business plan) allowing you to setup a giant network of employees under the same umbrella. All in all, it looks to be a rock-solid offering, complete with a full network of software and eCommerce solution support. So overall, if your business needs to go big on a budget, there’s really no bette option in our eyes than the Coolhandle Pro Hosting Plan. It’s thick, robust, and quite the bargain when compared to what other web hosting providers are offering these days. Three Tiers: First out of the box, you’ve got three pricing tiers here, ranging from $19.95 to $29.95 and ultimately to $49.95.The differences between these pricing tabs is actually quite dramatic, which we’d expect for the price hike. At the lowest rung you’ll get 35 gigabytes of storage space and 250 gigabytes of bandwidth: Enough to get things started, but not enough (at least not likely) to keep the site maintained. At the highest end you’ll get 200 gigabytes of storage and a whopping 1000 gigabytes of bandwidth. This is much more sustainable, but you’ll also be paying that $50 a month premium. So what else is included mutually between the pricing tiers? Unlimited Options: With each plan, no matter what end you go to, you’ll get a whole host of unlimited features to help your new reseller business along. Firstly, you’ll have unlimited domains, as well as unlimited parked domains. Not to mention sub-domains, to boot. You’ll also have unlimited FTP accounts to enable your customers to access their new server space. And lastly, you’ll have unmetered email accounts and MySQL databases to extend to your new customers. It’s a solid offering, but if you’re concerned about being able to bring features along with breadth to your constituent base, keep reading! Raw Service Support: Coolhandle offers a full retinue of the latest services, softwares and languages to go along with each and every one of its reseller accounts, which comes as a tremendous boon in our eyes. You’ll get support for the latest languages your heavyweight customers might use to code their sites (including Ruby on Rails) as well as support for popular softwares and platforms like WordPress, Drupal and Joomla. You’ll also have Fantastico to hand across the wire, allowing your customers to install a lot of essential items themselves without fuss. And that is the level of functionality you will need to found a successful business. With Coolhandle, it appears that you really can have your reseller hosting cake and eat it, too! But if you don’t want to be a reseller host, and also have no interest in being a personal hosting consumer? What if you need just a little more power for your business or personal site, but aren’t sure where to find it? If this sounds familiar, you’re in luck, as Coolhandle is one of the very few web hosting providers we know to be offering budget-minded virtual private server hosting. This is a more advanced form of hosting that’s halfway between a shared hosting account and a personal managed server. As such, you’ll get a lot more power and a whole lot more performance. But what’s the plan look like? Pricing: Again, you’ll find three pricing tiers here for Coolhandle to work with. The lowest rung has 512 megabytes of memory, 20 gigabytes of storage, and 500 gigabytes of bandwidth. All of this clocking in at $29.95 a month, which is a fair price no matter how you slice it. At the top of the line, you’ll get 2 gigabytes of memory, 60 gigabytes of storage, and a whopping 2000 gigabytes of bandwidth. All of this, however for $79.95 a month, which is quite steep. Quality Software Support: As with all the other Coolhandle plans we’ve looked at, the software and platform support offered here is spot-on for what we would expect and want. You’ll get a wide range of support, and no matter what your coding needs may be, Coolhandle has the technology and experience you need to get the job done. Pricing: The prices here are rock-bottom for the industry, clocking in at $59.95 a month. That’s the absolute lowest we’ve seen anywhere for a private dedicated server, making Coolhandle a great value for any business. Technology: For that money, you’ll also get an Intel 3.0GHz Core2 Duo processor, 2 gigabytes of memory, two 160 gigabytes hard drives, 2 terabytes of bandwidth, and 100 megabits connection speed. All in all, it’s a top-notch package for not a lot of money, which means we absolutely have to recommend it. And lastly, if you just need to host a domain name or have one registered, Coolhandle is fully licensed and ready to help you do it! They offer plans that start as low as $14.95 a year, and will hold your domain forever. It’s that simple, and it’s that effective to lock down the domain for your next website, or to start speculating on the domain reselling market.  Good, Solid Host: In our eyes, Coolhandle looks to be a very solid host with a good head on its shoulders. Cheap Prices: Across the board, they offer quality prices with quality features. Fantastic Support: And lastly, they also seem to offer some of the best support in the game. However, don’t just take our word for it! Be sure to read the written reviews submitted here. And as always, check out some of our other, favorite hosts before signing with any smaller company. CoolHandle is the WORST web hosting company. Just 8 days before my renewal was due CoolHandle's server suddenly died and with it died all my websites, emails, everything. After 3 days of trying to reach customer support, I was referred to the tier-1 support team. They are really dumb and rude. At first, the support person said that I am not their customer as he could find any records. He disconnected the conversation, then emailed instructions on how to apply for an account and the price for 2 years. It took me a few more days to convince the person who answers the phone to relay a message to a manager about my problem. After about a week a rep from support tier-2 found records showing I have been a customer 4 years. They said I had to first pay for the renewal within2 days and they would try to fix the problem. After I paid they said they could not find my account because of server problems. I requested a cancellation and refund, via email which they promised to do as they are obliged to refund fully within 30 days of the renewal. It's 30 days later, they haven't refunded me yet and they hang up the phone on me when I call. I lost all my hosted sites and my 2-years paid membership. They are also thieves. It's been hell dealing with CoolHandle and I don't wish such awful experience to anyone. CoolHandle is the worst company to deal with, they disregard their customers after they get their money. cancelled a year ago because this was fraud on there part. now i realized there charging me again. even after it is cancelled... wow.. rip off fraudulent and a total waste of time. 3 calls to customer service and hung up on 2 times. would only speak to a supervisor. I started with this company as a novice with some slick sales pitch by Anthony Morrisey saying that all would be set up and easy to use. The website was set up but it was not easy to use. They have auto renewed when they said they weren't going to, so I thought the matter closed but then they did run my card and will not respond to my requests for refund. They are also charging me for a domain renewal that they didn't even secure for me, I went on GoDaddy and bought it, not transferred it!!!! You cannot contact them directly, they have people answering the phone that can't do anything but submit a ticket. Many of them tell you different things. I am so frustrated with this company and I will have to go to the bank tomorrow to stop the payment. My business was in a development stage. I couldn't afford the web hosting pro package of $49.95/mo. Fortunately, Coolhandle had a starter package of $29.95/mo for people like me. I made my way through a business package of $39.95/mo. As a result, I am using the pro package for my business. Trust me when I say Coolhandle is a perfect web hosting company, I mean it. After trying 6 different web hosting companies in last 4 years, a friend of mine introduced me to Coolhandle and since then I have faced no problem with web hosting and is very satisfied with their services. It has been a one-stop shop for every web based needs. 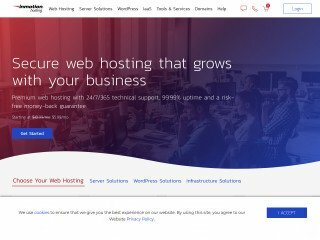 Coolhandle scores 5/5 from me because I found my affordable package of web hosting among the different price range. And who will give an unlimited storage space even in the starter package ? Certainly Coolhandle. I have been their customer since 2010 with a reseller account. I have over 50 websites sitting on one of their servers and about 40 of them show account suspended? I have submitted multiple tickets through my client area and they have not resolved the error. I can't even get into my cpanel??? The support has been ok in the past but not sure what is going on now but I would not recommend them to anyone. Nice folks but horrible service lately? You can not ever speak to a tech support person no matter the urgency...... I spent 5 years building and selling websites for local businesses and as of today most of them are offline and I can not even access the data to extract content and photos to build new sites on another server and obviously it will be with another company. Best web host I have come across till date is Cool-handle. I subscribed for pro plan for just $49.95/month. They provide considerable services such as unlimited bandwidth & storage space. Again FTP accounts are another great service given by cool handle. Cool handle provides SSH/shell access & instant backup. I can also avail benefits of owning mailboxes & mailing lists. Are questions regarding web hosting haunting you? Then cool-handle comes at your rescue. Services provided by the cool-handle puts one at the ease of web hosting. I enrolled with starter plan at availed various services of web handler. Now I can expand my business with the help of cool-handle as I was able to create an attractive website. With my experience I would recommend Cool Handle's reseller programs as they provide amazing customer service, all supported software & easy website access and control. It was a worth taking package as I enjoyed in it extra management features and tools as well. Looking to start a blog or a small business site? The only solution we recommend is cool handle. Using their platform you can quickly start your business in a matter of 10 minutes. I used the “Starter Pack ” and it helped me creating a good website for my business. If you are using Word-press its obvious you will need a hosting service too. So I recommend cool handle hosting. Its reseller packages just starts from 49.95$ giving you multi domain hosting as well with large bandwidth & storage space. If you need reliable service, commitment & stability, then cool handle is your favorite destination. If there is any problem with web hosting or reseller hosting, doesn't matter what the time difference is they are always seem to be there. Cool handle is highly recommended. From past 5 years I had enrolled with cool-handle for their service with the package of RESELL 3 $149.95/month. I am pleased to say that they are one of the best service providers I had came across. Their 24/7 customer support is very reliable. I am using cool-handle web hosting service from past 2 years and I can honestly say that I cannot remember having a single problem or negative issue with my website. I have no doubt about recommending cool-handle for anyone who is looking for web hosting service. I was so confused while selecting a domain name for my website. Cool-handle guys made this a very easy task for me and along with this I even got Domain privacy for a lifetime. This is just amazing really very satisfied with cool-handle the work. 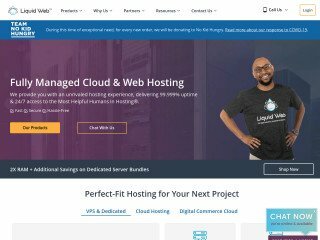 Cool-handle - Reliable web hosting service. I was in search for a reliable web hosting company. Cool-handle is very dependable and reliable web hosting company, I am working with them with the starter package of $29.95/month for past 5 months and till date haven't faced any problem. I have tried coolhandle and subcribed for the basic package and got billed for $700 for nothing got bit upset called their customer services rabbish and useless luckily got a dispute by the Bank. I'm extremely unsatisfied with coolhandle's customer service.....and their refund policy is very unfair and impracticle!!! I WOULD NEVER REFER ANYONE TO THEM!!!!! They think a <CONTINUE> button means charge me another three hundred dollars. Try calling the info line... nope, no refunds. REFUND? I didn't agree to that you mother F$CKERS. PLEASE, do NO business with this scam. They also route the phones to a cheap phone answering service in INDIA, so there's no one at the other end that cares or can do anything. My site with Coolhandle is never down. I’ve seen it all when it comes to webhosting. Some companies throw you bits and pieces and are not quite interested at keeping your business after you’ve given them your credit card information. Coolhandle never has down time.